Our process of repeating the recipes is also an opportunity to upgrade the photos. 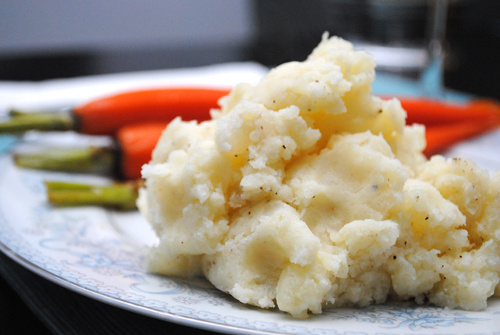 The first Mashed Potatoes  photo was just potatoes in a bowl – we will likely use this new one in the cookbook. Drain the potatoes and return pot to the stove on a burner at low heat. Use a potato masher or large spoon to mash the potatoes. Add the warmed butter and milk to the potatoes and mix with a whisk. Add salt and pepper, adjust seasonings to taste.